Enjoying tasty clam chowder that tastes so close to the Red Lobster’s version isn’t difficult. You can make our copycat recipe at home. Perhaps you want to recreate a bowl of Red Lobster clam chowder. It is easier than you might think to recreate this classic soup. This Red Lobster menu item has been part of their menu for so long, no one can remember going to the Red Lobster and this wasn’t available. I know you can recreate this soup and make it taste just like it does in the restaurant. Going out to dinner sometimes just isn’t in the cards. It may not be in the budget, it may be too far away, or you may have a family that can’t make up their mind to where they want to go. If you have a favorite dish at a restaurant, you can still recreate it at home. This gluten-free soup is so simple to make. Fresh potatoes, clams, a bottle of clam juice, and half-half make up most of the ingredients that you will need to recreate this recipe. I know you will be amazed at how great this soup tastes, and best of all it doesn’t take long to make at all. If you love the Red Lobster Clam Chowder, be sure to try one of these Red Lobster Copycat recipes. You can make Red Lobster Clam Chowder at home with this copycat recipe. Place potatoes in a saucepan and cover with water; cook on medium heat until tender. Remove potatoes from heat, drain and set aside. In 2 quart saucepan on medium-low heat, melt butter. Add diced onions and cook until onions are slightly clear in color. Add flour to butter and stir briskly. The mixture will start to thicken. Add half and half a little at a time while stirring briskly. The mixture will be creamy and will look like thick cream. Place salt, clams, and juice from cans, potatoes, bottled clam juice and milk with the mixture. On medium-low temperature, bring chowder to a slow boil. Turn temperature down to low and let chowder simmer gently for 15 minutes, stirring frequently. Chowder, hard rolls, fresh whipped butter, and a cozy fire will warm your tummy and your soul. My sister and I love Red Lobster’s clam chowder. We go there often for the chowder and great conversation over a bowl. I will try this recipe for comparison. Thanks! These are our fam’s favorite! Love restaurant favorites at home, and this is perfect! 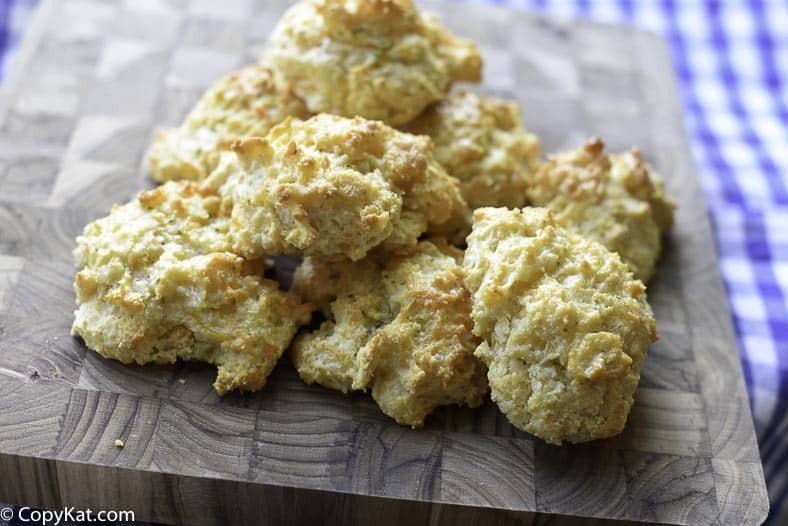 With some of the biscuits you never have to go out again! I think this one turned out better than Red Lobster’s version! I loved this! Really satisfying!! Thanks for sharing the recipe! My husband loves this soup! 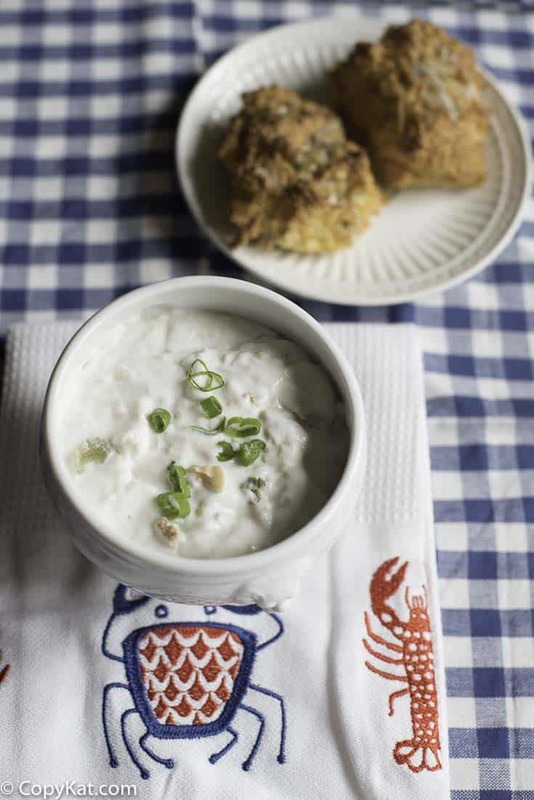 I love how easy it is to have clam chowder at home! This was so good. Perfect dinner for winter. This reminded me of my mom’s clam chowder, a Christmas Eve tradition! Will be making it again soon! Mmmm… Just like the original!! It’s just like the one from the restaurant! Yum! Looks so creamy and comforting! This tastes just like the soup at red lobster! I think this is better than the original! We have frozen Razor clams can we use those, chopped up, instead of canned clams? Just made the Clam Chowder and agree that it is as close to Red Lobster as I have ever had. Maybe better! I did make a couple of very minor changes. I used 3 cans of Minced clams instead of 2 and I eliminated the bottled clam juice. I also used 1/4 C + 1 Tbl. flour because the 3rd can of clams added more juice than the 1/3 C of bottled that the recipe called for and I also like the chowder just a tad thicker. I have thrown away my old recipe for clam chowder that had been my “go to” for nearly 25 years. We don’t have a Red Lobster any where near here, so I can’t rate your recipe. But it sounds delicious. 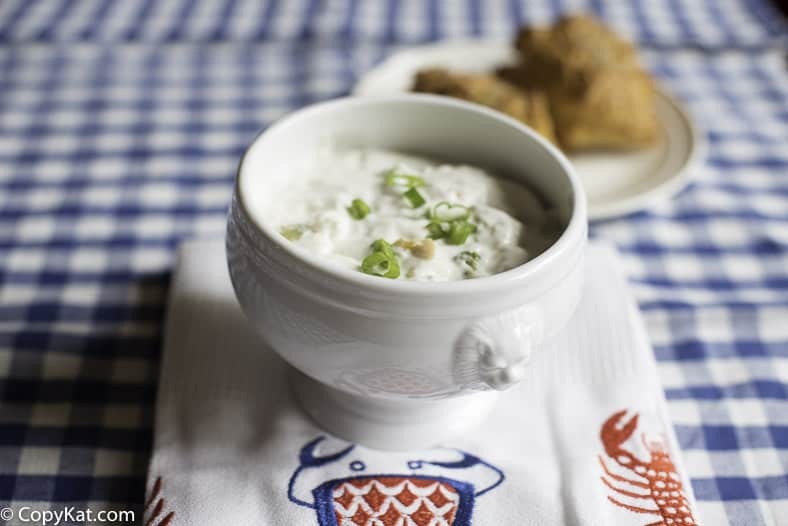 When I make clam chowder, I add a little Old Bay Seasoning and use evaporated milk. Creams are too rich for my digestive system. I just wanted to ask why it says in the description that it is gluten free when in the directions it states to add flour. Now, there are gluten free flours out there, but that is not specified in the recipe. You might want to adjust that in the description to avoid any misunderstandings. Can I use heavy whipping cream in place of half and half?